The rich are getting richer and the poor are getting poorer. 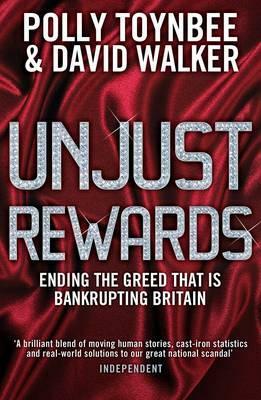 Against the backdrop of the current recession, journalists Polly Toynbee and David Walker present a worrying account of social inequality in Britain today. Shredding the myth that executives require astronomical salaries, they put the case for higher taxation of the very rich. This was once the heart of Labour ideology, but politicians now seem almost embarrassed to raise the subject. Toynbee and Walker demolish the arguments against higher taxation, and show how government policy could revitalize British society. POLLY TOYNBEE is a political and social commentator for the Guardian. She is the author of, among others, Hard Work: Life in Low-Pay Britain; Hospital; and a collection of journalism. With David Walker she has written two audits of Labour's first and second terms: Did Things Get Better? and Better or Worse, Did Labour Deliver? DAVID WALKER edits Public and was formerly chief leader writer of the Independent. He is a member of the council of the Economic and Social Research Council, a non-executive director of the National Centre for Social Research and a trustee of the Nuffield Trust for health policy studies. He is author of The Times Guide to the New British State.